Usually falls near the end of March/early April. 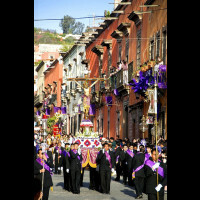 Also known as Semana Santa, Easter week in San Miguel is probably the most important holiday of the year. 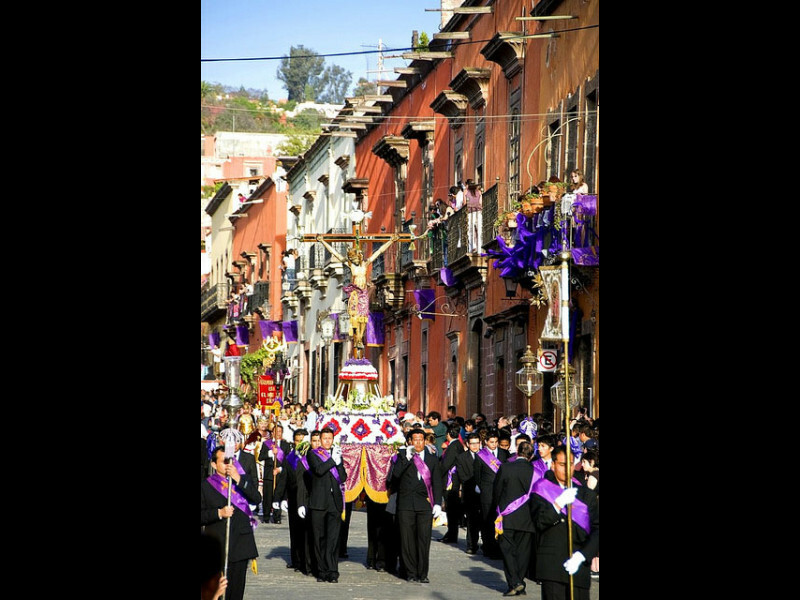 Celebrations actually stretch for two weeks, beginning with the arrival in San Miguel of Our Señor de la Columna, (two Sundays before Easter) and ending Wednesday following Easter Sunday, when Our Señor is returned to Atotonilco. This is the time of year that most families take their vacations, so expect beaches and other holiday destinations to be crowded. 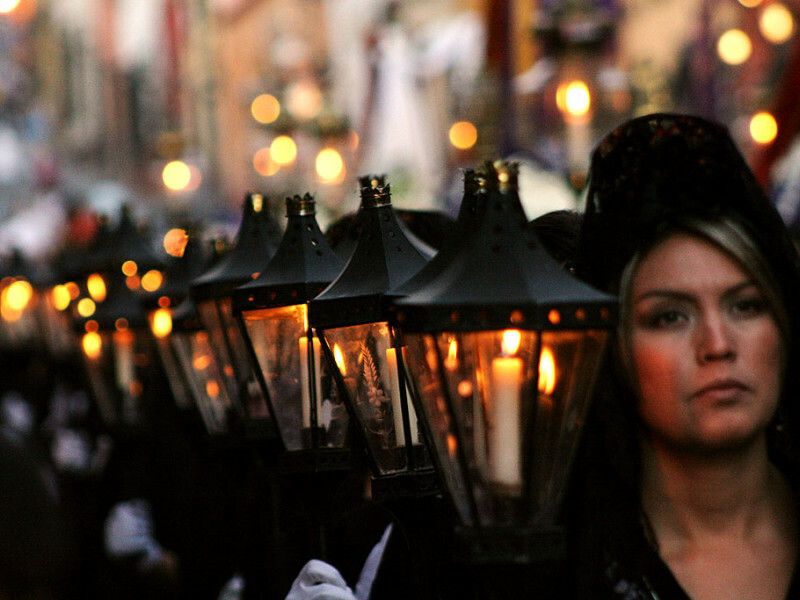 On the other hand, it's a great time to visit Mexico City - so many residents have left the city that traffic is quite light and lines are short. Below is a summary of the major events of this holiday. 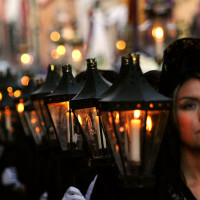 For a much more detailed treatment of the events of Semana Santa, go here.